I'm a week into my third trimester and up until last week, pregnancy had been a breeze! I felt great, I was keeping up my usual exercise schedule and aside from an increase in ice cream consumption, I've been eating pretty normally. 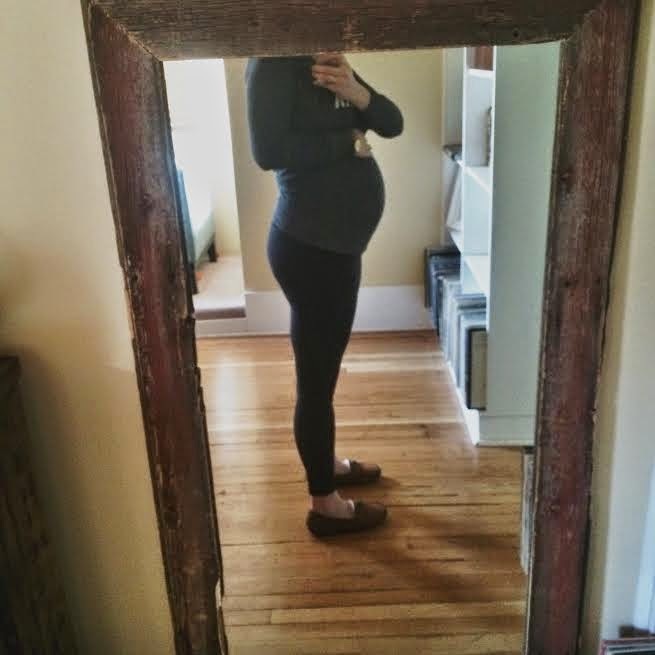 Like clockwork, on day one of the third trimester, I started feeling a bit uncomfortable. Nothing major, just some slight pain when I walked. On Wednesday, I slipped on some gravel and even though I didn't actually fall, I pulled all kinds of things and wound up pretty much unable to move and having to use crutches to get around. Not cute. After a few days of rest, I'm feeling better- not 100%, but back to my daily routines. So sorry to hear about your near fall! Hopefull you can enjoy some of the new found sun and fresh air as you head into your last weeks!